How are hierarchies constructed? How do they work? How are they resisted? Seeking to recover histories and voices of ‘those from below? this volume and its companion, Speaking Truth to Power explore various issues raised by the lived realities of Dalits, a term deployed here broadly to encompass the specifics of the caste community while simultaneously pointing to solidarities with other marginalized groups. Together the two volumes examine areas like social hierarchy and reform, the role of religion, the idea of resistance, the functionality of the continued use of the term ‘Dalit? and the scope of current and future Dalit literature. This volume investigates a wide variety of issues related to Dalit politics and literature. Underlining the emergence of the Dalit as a new political subject, it brings together pertinent case studies from different regions and sectors—the politics of the Chamars of Uttar Pradesh; the multiple identities of backward-caste Muslims; colonial oppression of peasants in Bombay Presidency; schooling of Dalit women; and the lives and stories of Bangladesh war victims of 1971. The collection also examines B.R. Ambedkar’s alternative vision of economic development and the linkages betweenrace, caste, and discrimination. The last section discusses issues relating to the articulation of resistance in Dalit literature—the role of the Dalit Lekhak Sangh; representations of women in short stories; and the underpinnings of Dalit poetry. The volume also analyses the paradoxes of such cultural politics. 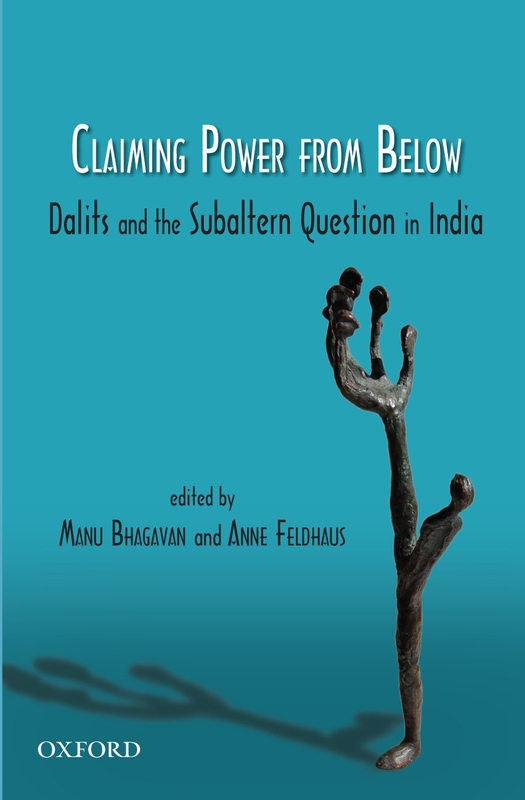 Dedicated to Eleanor Zelliot, a pioneering scholar of Dalit studies, Claiming Power from Below and Speaking Truth to Power explore the lives and creations of Dalits—the oppressed—and seek to re-examine the subaltern question in the subcontinent through a variety of disciplines and academic approaches.